These comfortable liner socks show off camouflage style two ways. Get ready to march in camouflage comfort. 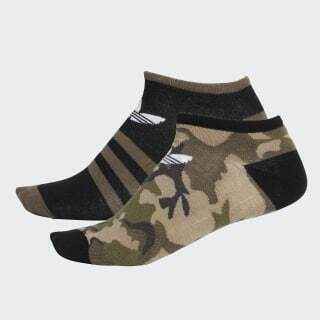 This duo of low-cut liner socks combines classic camouflage colours with a contrasting toe, heel and cuff. Each pair is made with a stretchy cotton blend for a comfortable fit.